This question has been asked lots of times by Star Trek enthusiasts and others including myself. In this article we will try to highlight some possibilities of when will we have warp drive available to us. 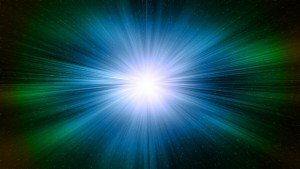 Are we close to warp drive in our lifetimes or will we have to reincarnate? I mention Star Trek above with good reason, not just for science fiction fans, but if you look at almost all of the technologies predicted, they have actually come true. The only, and the most favored concepts, still to crystallize is warp drive and teleportation of information and objects. With all these things predicted for the 23rd Century, it looks like we are already well ahead of schedule. Since such technological concepts are here in 2016. In fact some items might be considered too primitive for many such as flip-flop communication devices in the 1960s Star Trek series, as we have evolved to smart phones. Not to mention inoculations that are needle free and the medical tricorder. Plus Google Siri voice assistant software and digital translators into other languages. All this is very interesting and impressive. However, if we want to explore deeper into more exotic technologies such as Warp Drive and Teleportation, you may find it more harder to observe more compelling insights that we are on a cusp into a new area of Star Trek type experiences. Where traveling to not only planets in our solar system but also to neighboring star systems, is as routine as aviation technologies are today. Get on a plane in Canada in the evening and in the morning you are arriving in Scotland. One would argue that there is a world of difference between travelling across the Atlantic and travelling to Alpha Centauri. But then that is what the old mariners would have said before air flight was invented. Has A New Era Begun? That all being said, there have been some interesting research and serious experiments currently being work on by many scientists. In regards to teleportation there has been some very interesting results from a group of scientists in the Netherlands, where they were able to teleport information 3 meters apart with 100% accuracy of the data remaining intact at the receiving end. Scientists are also taking steps in the realms of the laboratory to develop the next generation of space propulsion technologies, that would take us beyond chemical rockets. At the moment such rocket technology, while a spectacular tried and proven system to travel out of the Earth’s orbit, is very inefficient as it requires 90% of the ships payload to be fuel. 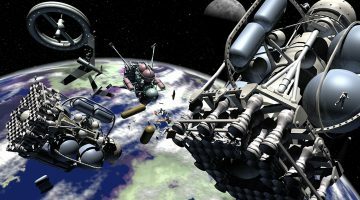 Current propulsion technologies are stuck in low earth orbit. Traveling to Mars or even to the Moon would require some serious advancements in innovations. 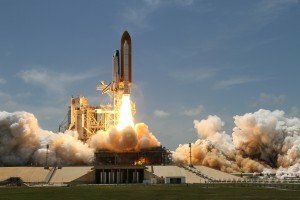 While it is not impossible to travel to Mars with chemical rocket fuel, it would be extremely expensive. You would have to factor in not just the fuel to leave Earth and travel to Mars but also to get back home again. Also you would need fuel on top to compensate for the mass of fuel required to get there and back. So if we want Humans to explore and settle in this solar system, then we need major upgrades to current propulsion systems and for them to be cheaper. So are there new potentials on the horizon? 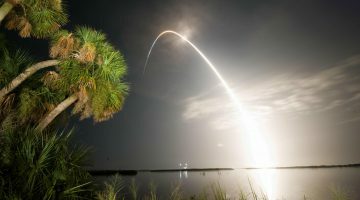 Scientists have been looking and researching into a number of different technologies that could be allow us to achieve regular space flight. These include Nuclear Fusion, LENR (Low Energy Nuclear Reaction), Anti-Matter, and Ion Drives to name a few. We will look at each of these in future articles on what has progressed. I know that NASA has been looking at a possible Nuclear Fusion Plasma Rocket this is being researched on that could potentially get to Mars in as little 30 days to 3 months, depending on the Earth’s and Mars’s orbits from each other. At the moment under current chemical rocket fuel technologies it would take around 7 to 18 months and of course would be a lot more expensive. NASA would be delighted with an alternative assume it would work for its Mars mission in the early 2030s. In the Eagleworks Labratories at NASA, Dr Harold ‘Sonny’ White whom leads research into the next generation of advance propulsions, have been looking at the EM Drive and Quantum Vacuum Plasma Thrusters, a form of electric propulsion that surfs on the quantum vacuum. I will write about these in due course and especially the controversial EM Drive (Electromagnetic Drive) which has been causing a stir in the news lately. White’s team has been researching into Warp Drive Mechanics to manifest and detect a small instance of a warp bubble (spacetime distortions) using Quantum Optical Technologies. In the Star Trek Universe, warp drive was invented in the early 2060s. It was at this time that the Vulcans detected a warp field signature and decided to make contact. The Vulcans had already invented Warp Drive centuries earlier so they felt it would be good to make contact, build a relationship with humans and guide them as now they were advancing in technologies that would allow them to travel beyond the solar system. 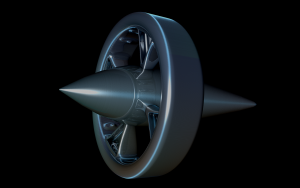 Warp drive technology progressed in increments just like in the real life, with the automobiles and aviation, that has advanced and got faster and more sophisticated. On Earth, warp drive was invented by the human called Zefram Cochrane. His developments of the warp drive was gradual over time and in the 22nd Century, humans were able to travel at warp factor 5 or 125 times the speed of light as measured on the Cochrane scale. This is a generation before we meet Kirk’s crew and learn of their adventures where warp technology had advanced even faster to warp 9. However, in Cochrane’s period, the less advanced warp drive was efficient enough allowing humans to travel and settle in the Alpha Centauri system, which is 4.3 light years from Earth and the closest to us. 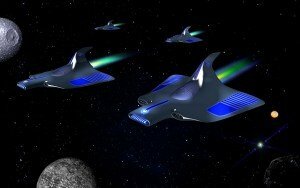 Having any kind of faster than light travel would be absolutely amazing. But is warp drive possible? The answer to that is an uplifting Yes! In 1905 Albert Einstein brought forward the theory of special relativity, that explains that no object with mass can travel faster than the speed of light. He then went on to develop general relativity containing different field equations that solved certain problems. Some of these issues worked out from Einstein’s field equations, allow for space to be stretched or compressed. Space itself does not have mass and so it can move at any speed including faster then light, at least theoretically mathematically so. This means that space can be warped around us so that it can be squeezed in front of us and expanded behind us. In this way an object with mass is never violating the theory of relativity, since it is space itself that is shifting at those speeds, the object itself is still existing in normal space without travelling at those speeds. In 1994, Miguel Alcubierre, who at the time was a Mexican physics student, wrote up a paper that published the first paper of these field equation solutions, allowing the warping of space. He was inspired by watching star trek and wanted to see if it could be supported in anyway within physics. This warp drive equations have become known as the Alcubierre metric or the Alcubierre Drive. His professor at the time was so impressed with his paper that he got it published and peer reviewed. Of course all this was nice on paper in theory but Alcubierre doesn’t think it is technologically possible because of the huge energy requirements needed, which at the time would be all the energy in the universe to bend space or the energy of a star. In addition you would need an exotic energy of negative mass, something at least at the time, we are not sure how to make. Around the time of 2010, it was thought that at best guess, the amount of negative energy needed would be the equivalent size of the mass of Jupiter. However, at the time, White was invited to give a talk to the 100 Year Starship Conference. This is a Think Tank setup with initial funding via NASA and DARPA / The Pentagon, on what it would take to build a starship capable of interstellar travel over the next 100 years. I will update this article with links to future articles focusing on the 100 Year Starship Program. Different technologies where discussed and White revealed about the concept of warp drive propulsion. However, instead of just giving an inspirational talk about future technologies, White highlighted that they had reviewed and tweaked the Alcubierre metric calculations, resulting in the energy requirements being vastly reduced, from energy mass of Jupiter to equivalent of the size of the voyager space probe. This means that the concept of a space warp was much more feasible that originally thought and has the potential to make it a game changer, worthy of further research and investigation. White pointed out that they were intending to try and create and measure a microscopic instance of a warp bubble in the lab. Basically, the NASA scientists working on this science project feel that there are warp bubbles that would be simpler to manifest energetically than the one that Alcubierre used in his initial calculations. The warp bubble has thickness of on a scale that is termed a Planck length. If the thickness of the walls are increased then the energy requirements are reduced. In addition they observed that if space were to be embedded in higher dimensions (Hyperspace) then the energy required to warp space would be considerably less by changing the vibratory frequency rate of matter. As an example consider a block of wood, if you tried to compress it with your hands it would be very difficult or impossible. If you could changed the frequency of the wood’s matter to a more sponge or liquid like state then the strain rate would be a lot less to compress. The research teams at NASA’s Johnsons Space Center along with Dakota State University are aiming to experiment with a number of new different approaches such as the implications of Brane Theory Cosmology and a redesign of an energy-density topology. A toroidal positive energy density may produce a spherical region of negative pressure, perhaps eliminating the requirement for exotic matter. 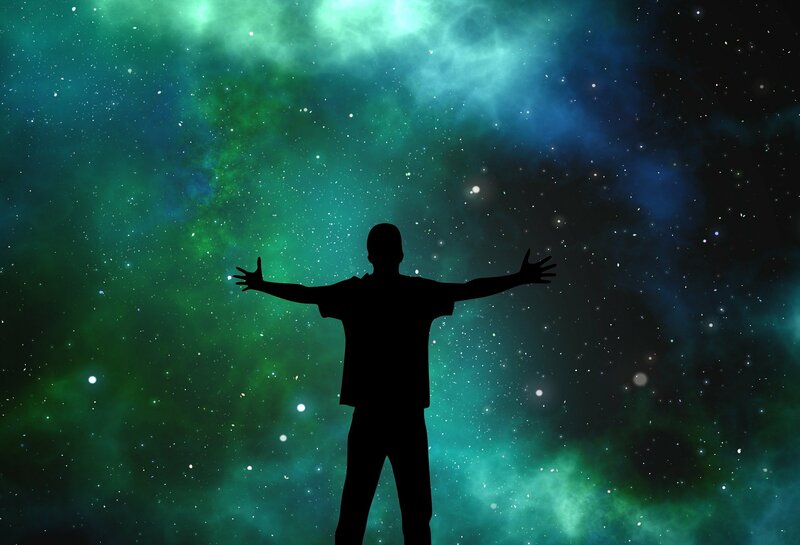 Spacetime being embedded in a higher dimensions is a theory supported by Brane Cosmology that tries to utilize a number of theories in particle physics and cosmology such as String Theory. The concept of the Brane is that the visible universe of four dimensions is restricted to a brane inside a higher dimensional manifold, this is known as ‘bulk’ or ‘hyperspace’. Now if the additional dimensions are compressed then it would mean that our observable universe contains those extra dimensions, so no reference point to the hyperspace/bulk is needed. In other words what would exist as other dimensions actually exist inside the physical membrane but on a different density and not operating outside of the observable physical universe. This analysis by scientists into these concepts would seem to reflect what many mystics and shamans over the centuries and what I also concluded myself sometime ago, that ‘inner realms of existence’ or other worlds is a contraction process and not an expanded state or operating outside of us. In the hyperspace model some of those extra dimensions either infinite or extensive, with other branes ‘bleeding’ through the bulk. Thus there would be interactions with the bulk and it is possible that other branes can influence each other. So you would see phenomena not seen in the standard physics cosmological models. As I mentioned above about changing the frequency or density of physical matter, space is extremely dense or stiff, and would take an incredible amounts of energy to try to bend spacetime. However, if you can soften matter so it becomes more like plasticine then the strain rate to distort space around yourself would be a lot less. I will make a follow up to this article as there is a lot of detail just to go into their warp drive experiments. However, they are thinking extremely big but taking small incremental steps in their research. Since running these experiments they imply that they have got a reading of a possible warp signature but at the moment the results are inconclusive due to the sensitivity of the equipment and trying to rule out background noise. Their research is a feasibility study into how difficult it would be to create such a warp field and also if it is possible. So are we any closer to warp drive? I would say yes, as its one thing to write up papers about it. But something else to try and see if you can generate a warp bubble in the lab! The scientists seem to think they might be on a verge of a breakthrough in this new kind of physics and take it from speculation to actual science. You forgot to address “when” in the article, other than a Star Trek reference,, no time guestimates given. Hint: Gene Rodenberry was far…FAR…FAR to optimistic on time lines. 23rd Century… Warp drive will STILL be science fiction then, as now.. The Solar system will keep us involved with plenty to do for a good 500 years or more, before sending anything substantial that can reach the closest stars within a current 100 year human life-span. Warp drive (if possible…) try 1,500 to 2,000 years off…. Moore’s law won’t work or apply to warp drive. I am being VERY optimistic here…..
Repeat (again) Moore’s law and all our computing and telecommunication advancements, do NOT apply to advancing technologies needed for precursors for warp drive, much less warp drive. a multi-hundred million dollar lotto. .
I’m an optimist. True Physics Professionals like Michio Kaku thinks it will be more like 10,000 to 100,000 years off…… for any large scale FTL travel. DR Miguel Alcubierre also thinks similar to Dr Kaku. Read peer reviewed Physics articles, not the Huffington Post…. I really hope & strongly believe that I will have a chance to see these predictions in the future. Well, maybe I am one of very few but I saw some kind of warp technology in action in the night sky last summer. Trust me. I am intresting about that and I can recognize if something is baloon, flare or plane. I really would like to know what I saw. I can only tell that I don’t know any devices appearing in the flesh of light, spliting into several and reducing enormous speeds to zero in a fraction of a second.